« America’s War in Iraq came to an end Officially! The 2001 attacks on the United States by Islamic fundamentalists in hijacked passenger planes made Hitchens ever more critical of the role of religion in the world, and led him to appreciate the merits of American democracy. 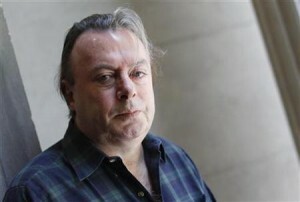 “I am absolutely convinced that the main source of hatred in the world is religion, and organized religion,” he wrote.